Menu « GASTHAUS: got 'kraut? This year it was Sauerbraten and Bratkartoffeln. The beef was so tender I only needed a fork. And how can you go wrong with potatoes, bacon, and onion! We are sorry, but we don’t bake Brötchen at the Gasthaus. But we could offer Pretzels. Just call us at 502-899-7177 for more information. Do you have sauerkraut balls ? Mmmh, delicious, but we don’t have those. 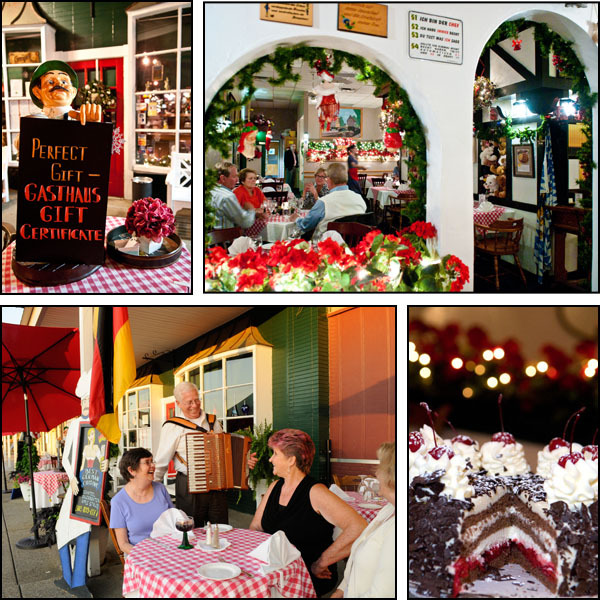 They are not authentic German food and are more a recipe that originates from the Midwest. Thanks, sorry you don’t have them. My mother used to make Rouladen with pickles, but my wife made them with asparagus wrapped with a thin slice of ham and Swiss cheese within the beef wrap. Try it. We just made reservations for December 13. Do we have to order potato pancakes in advance? Yes. Let us know how many please! Looking forward to seeing you guys! With a days advance notice we can bake you some!